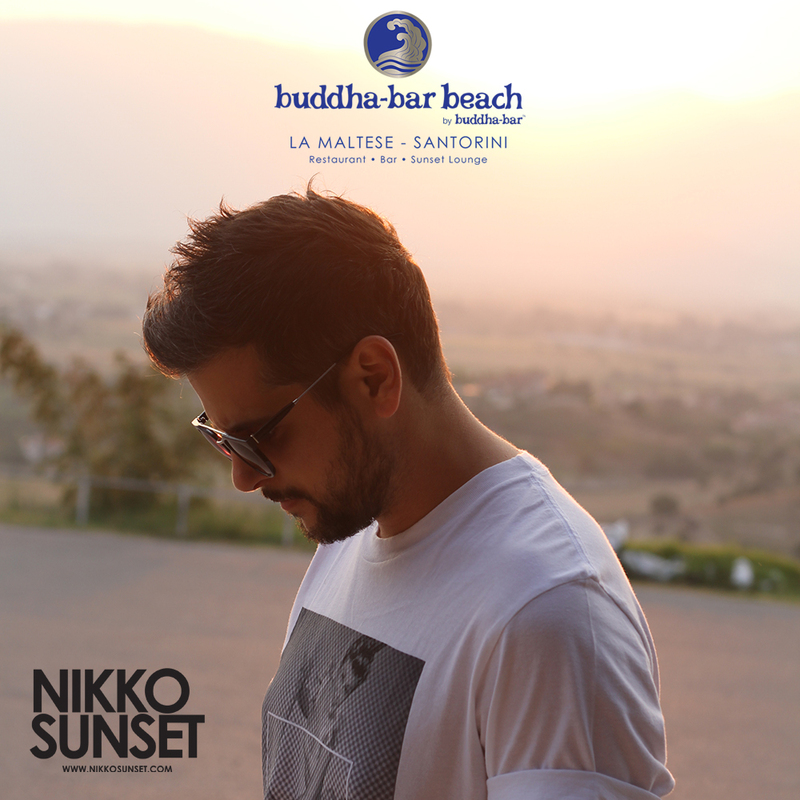 Buddha-Bar Beach Santotrini welcomes Dj Nikko Sunset! Nikko will be serving up his unique style with World beats and Eclectic Sounds. Admire this unique volcano/fireworks event from Buddha-Bar Beach Santorini privileged location with direct view to the volcano and the fireworks show symbolizing the volcanic eruption. With the help of fellow DJs, Nikko Sunset helped to push house and elect music forwards on web and radio during the late nineties. Headlining some of the most well known DJ/Producers of the times, Nikos has had the privilege of work alongside a number of well known artists. In 2011, creates his own label "Noevo Records" which circulating the track "Away from you" which quickly becomes a success and included into collections like "Sweet & Sweat 4", "In my bedroom "," Mykonos 12 " and others. Also his song ‘’Andalusia’’ was released by the worldwide famous compilation Buddha Bar Ultimate Experience.